Vickey completed her Bachelor’s in Nursing Degree in December 2017, graduating from Laurea University of Applied Sciences in Finland. During her studies, she practiced clinically in various departments in Finland and Cyprus as an exchange student, gaining experience in neurology, home care, orthopaedics, psychiatry, paediatrics, gynaecology/obstetrics, intensive care unit and emergency department. As a registered nurse, holder of a license to practise, she has previously worked at "Ygia Polyclinic Private Hospital" in Casualty department, treating patients who suffered from trauma, chest pain, injuries, allergy reactions, heart attacks or severe medical conditions which require urgent treatment. 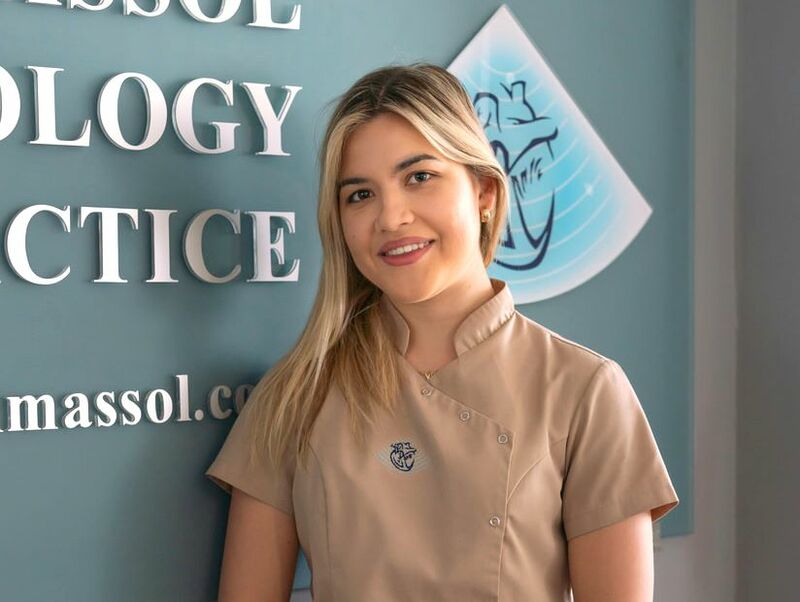 In April 2019 Vickey joined the "Limassol Cardiology Practice" team as a resident Practice Nurse. Here she provides nursing support for our patients during examination, ECG, echocardiography, exercise stress testing, 24 hour Holter monitor and ambulatory blood pressure monitoring. She describes herself as a positive, dedicated and compassionate nurse and she is highly focused on providing the best possible care for patients, ensuring they are comfortable and safe during their examination. Vickey is a registered nurse, holder of a license to practice, and an active member of the Association of Nurses and Midwives of Cyprus.